Washington is struggling to bring an end to the Russia-Turkey S-400 deal, threatening to abolish the sale of 120 F-35 jets to Ankara, and even offering it a US-made missile defence system instead. Speaking to Sputnik, political observers shed light on the prospects of US-Turkish relations and Turkey's NATO membership. Turkey has not changed its decision to acquire the Russian-made S-400 missile defence systems, two Turkish officials said on 19 December, commenting on the US State Department's approval for a possible $3.5 billion sale of the Patriot surface-to-air missile (SAM) system to Ankara. Bloomberg earlier presumed that the reported Patriot deal "marks an opening gambit by the Trump administration to get Turkey to halt its purchase of Russia's S-400 missile system". While Turkish President Recep Tayyip Erdogan is determined to buy 120 US-made F-35 fighter jets, Washington made it clear to Turkey that it can abolish the contract in case Ankara proceeds with purchasing the Russian-manufactured S-400. Why is Washington Up in Arms about the Turkish-Russian S-400 Deal? "The decision is more operational than political. 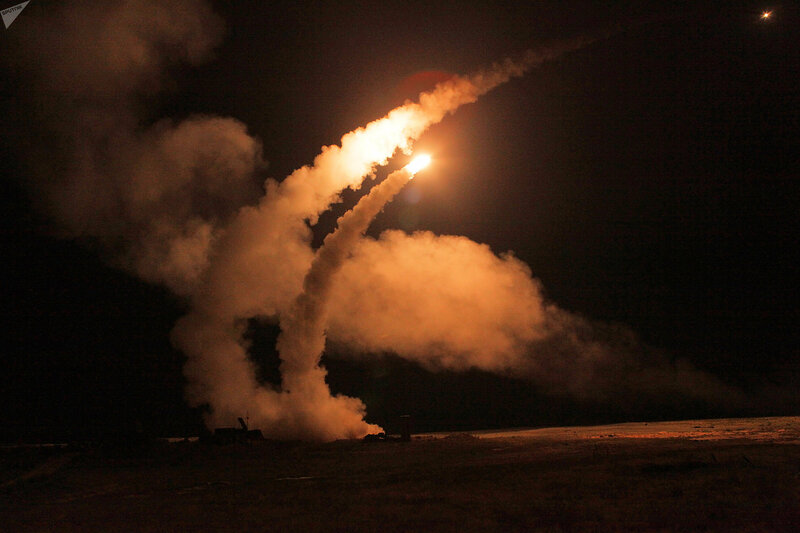 Air defence systems like the S-400 are learning systems. The more they interact with enemy planes the more they can learn their patterns and maneuvers. The idea of Turkish air force flying F-35 while its air defence units help perfect tactics that effectively aim to shoot down these planes is unacceptable to Washington", Dr Gal Luft, co-director of the Institute for the Analysis of Global Security (IAGS), a Washington-based think-tank focused on energy security, and a senior adviser to the United States Energy Security Council, told Sputnik. The scholar opined that "the cohabitation of F-35 and S-400 in the same military would also harm interoperability of NATO forces". "It could also harm the F-35 brand and reduce the demand for the plane", he said. Abdullah Bozkurt, journalist and author of "Turkey Interrupted: Derailing Democracy", believes that the political factor should not be underestimated: "The concern that Turkey, a NATO ally, is dealing with Russia and orbiting away from the alliance by purchasing a multi-billion-dollar Russian high tech defence article plays a large role in the US move". Therefore, according to the author, the US has repeatedly warned Turkey that it will cancel the F-35 deal, despite Ankara contributing a lot to the development of the aircraft project, investing $1.2 billion in the endeavour, while "Turkish companies produced some $700 million worth of parts for the F-35 multi-national program". Daniel Pipes, an American historian, writer, and commentator, echoed Luft: Washington does not trust the Turks "to keep the F-35 secrets from the Russians". 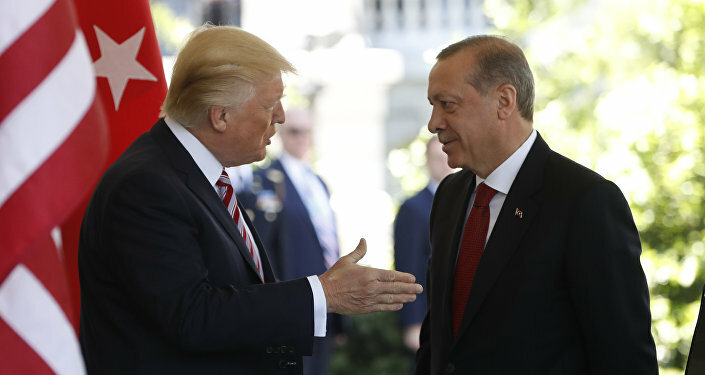 "The delusion that Turkey under Recep Tayyip Erdogan remains an ally of the United States led not only to an agreement to sell F-35s to Turkey but even to permit key components of the aircraft to be supplied by Turkish manufacturers", he stressed adding that the Trump administration has found itself on the horns of a dilemma whether to "sell its best war planes to an enemy or experience major disruption in the aircraft's production". "The American taxpayer pays tens of billions of dollars on its intelligence services — and this is the result?" Pipes asked rhetorically. At the same time, the potential cancellation of the US-Turkish aircraft deal may hurt the interests of influential American defence contractors, Lockheed Martin, Northrop Grumman Corporation and Pratt & Whitney, which are poised to profit from the lucrative deal. According to Luft, "Lockheed is facing big dilemma." Elaborating, he said, "Going forward with the sale could expose their signature product to serious operations and technological challenges and this may have a dampening effect on future sales. Calling off the sale would exact very high near term cost of over $10 billion. Hard to tell where they will fall on the issue". However, he admitted that "one cannot underestimate the influence of defence and aerospace manufacturers on foreign policy, especially in the Middle East, which is the largest market for their products". "It is certain that their voice will be heard in the debate," the scholar believes. For his part, Bozkurt presumed that although "the US defence firms want to make money", they are not going to do this "at the expense of the US government's strategic interests". He pointed out that Turkey's "military-industrial complex is very much dependent on the US and its NATO allies". "One of the problems Turkey has with US defence firms is that technology transfer or off-set options were not at the level Erdogan government desires to have. This has been a lingering issue for many years as Turkey wants to develop own defence industry," the author stressed. Andrew Craig Brunson, an evangelical pastor from Black Mountain, North Carolina, arrives at his house in Izmir, Turkey. 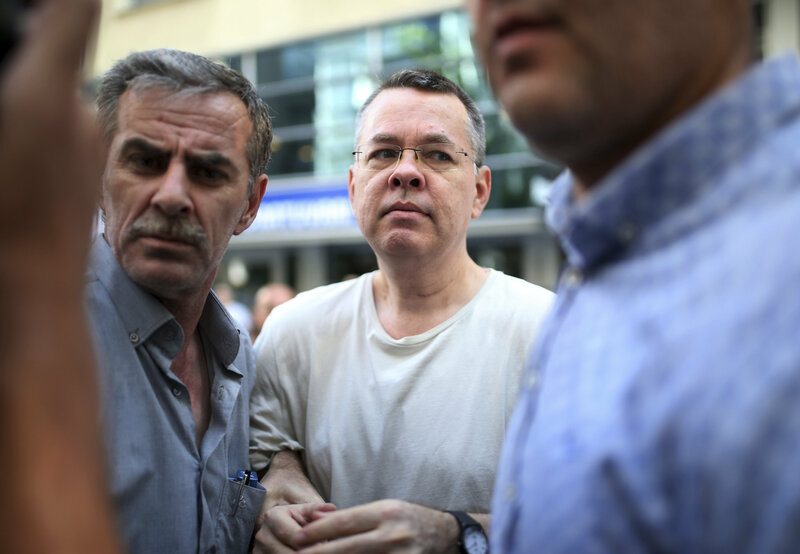 The release of American pastor Andrew Brunson, detained two years ago in Turkey, has seemingly eased the US-Turkish strain. Still, Luft believes that this is not enough to soothe tensions: "Trump is very sensitive to arms deals and at a time the US economy is headed toward a slowdown and jobs preservation is high on the agenda he may be even more sensitive to such issues". For his part, Pipes pointed out that the release of pastor Brunson ended one crisis but "others continue unchanged." The Turkish author shares a similar stance: "There are still some outstanding issues that need to be sorted out," he said. According Bozkurt, "one can say that Brunson's release means Erdogan has blinked and US knows Turkish government's weaknesses". "It shows the US has significant sway on Turkey and has a lot of tools at its disposal to use against Erdogan government when it really wants to secure a result", he said. "Erdogan government simply cannot risk a full-scale confrontation with the US and Brunson affair shows Erdogan has overplayed his hand with hostage policy and had to yield to the US pressure at the end when Washington started taking economic measures such as limited sanctions and penalties that sent Turkish lira into downward spiral in a very short period of time". Tensions have long been simmering between Ankara and Washington over the US' unwillingness to extradite Turkish cleric Fethullah Gulen, believed to be the mastermind of the 2016 coup d'etat attempt in Turkey. To tip the balance in its favour, Ankara has repeatedly resorted to the threat of expelling US military forces from the Incirlik Air Base. When asked whether Ankara could yet again weaponise the base to shield the F-35 deal, Bozkurt opined that it is "less likely but not impossible". "The idea was entertained publicly by Erdogan and other government officials in open forums," he said. "Erdogan cannot risk a full-frontal clash with the US. But again, if Erdogan and his allies feel that their back is pushed to the wall, they may use Incirlik air base as a rupture point to break away from the US-led western alliance and mobilize Turkish public." 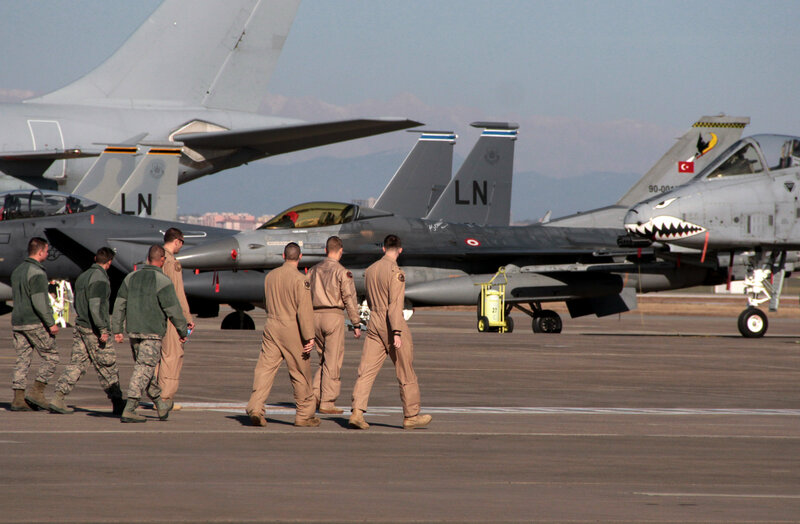 However, the author suggested that "the US has already put in place contingencies and may very well compensate the loss of Incirlik with other bases it maintains in Syria and Iraq". For his part, Pipes thinks the US should make the first move and "leave Incirlik in favour of bases in countries like Romania or Jordan". However, "the military hopes for better relations with Turkey and resists this change," he added. According to Luft, on the one hand "the closing of Incirlik would be a blow to US force projection capabilities in the Middle East and Central Asia, and this is why it is not likely to happen unless relations take a major turn for the worse". On the other hand, "closing Incirlik will put Turkey behind the iron wall separating US and Russian sphere of influence," he said, adding that "it may even bring [lead] to Turkey's expulsion from NATO." "All of the issues affecting bilateral relations — arms sales, Syria, Gulen extradition, energy security, the Kurds, Incirlik and Turkey's support for Islamist groups in Gaza and Libya to name a few — need to be somehow harmonised in a new grand bargain," the scholar summarised. "The Trump White House has failed to nominate an ambassador to Ankara and the Assistant Secretary of State for Near East Affairs has not yet been confirmed. These are critical elements in US diplomacy that are currently missing. No wonder the relations are so fraught", Luft concluded.